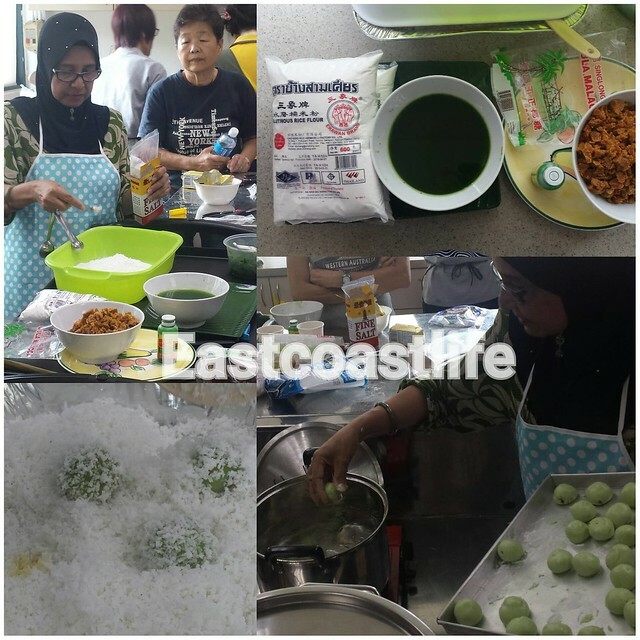 Accompanied several Teochew girlfriends, who are avid cooks, to learn how to make the Malay kueh (cake), ondeh-ondeh from a Malay sister on a Sunday afternoon. 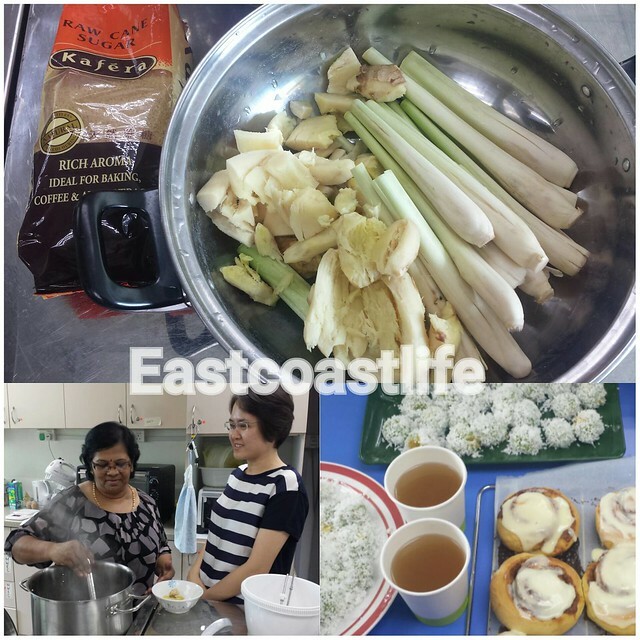 Kakak had already prepared the ingredients. We watched and made notes as she showed us the steps. I already know a more traditional way of making this classic kueh. I use sweet potatoes for the skin instead of glutinous rice flour. And I like to use a particular thick. aromatic gula melaka (palm sugar) from Malacca. My family loves my homemade ondeh-ondeh. Back to the class...., so the ladies were taught a simple recipe of making ondeh-ondeh. 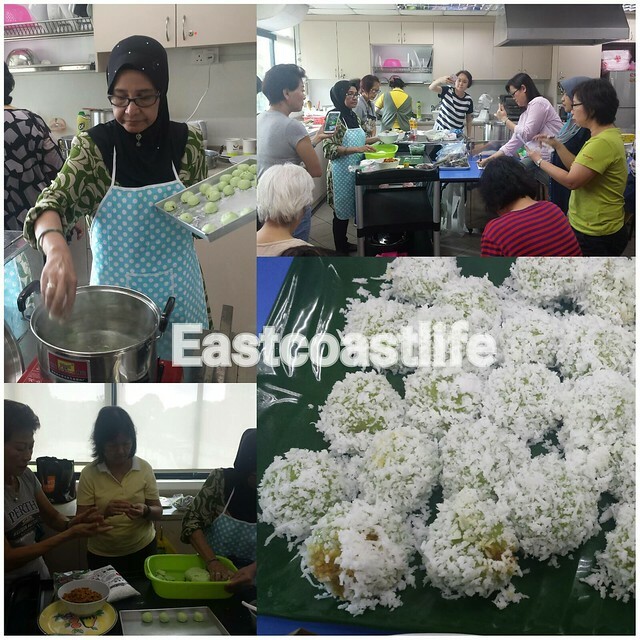 After the dough was made, some of them helped to wrapped the rice balls and some rolled the cooked ones in shredded coconut. Very quickly the dish was ready to eat. While waiting for the food to be ready, we shared tips on cooking and shared recipes. I am always happy to meet new friends who share the same interests.